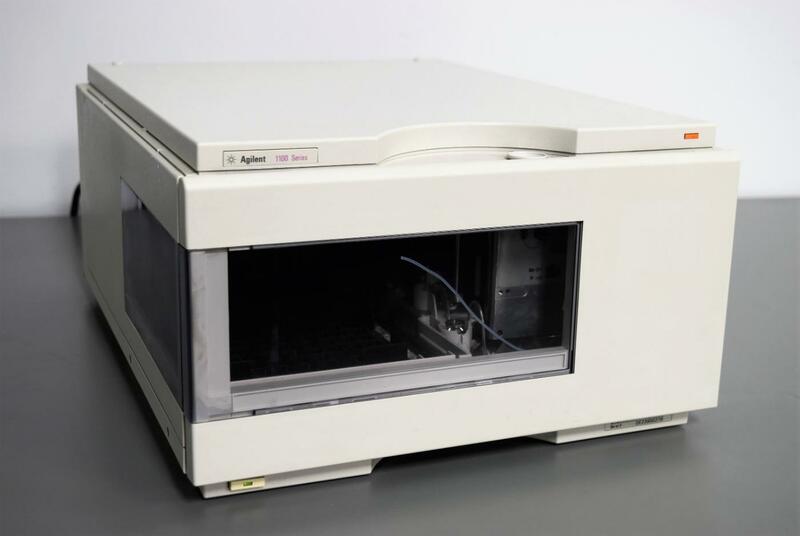 Agilent G1377A u-WPS Micro Well-Plate Autosampler for HPLC 1100 Series System . New Life Scientific, Inc.
Power-Tested & Initialized. 90-Day Warranty. Our in-house technician inspected and tested this Agilent G1377A u-WPS Micro Well-Plate Autosampler, confirming it to be functional. Technician tested the robotics, conveyor, piercing device, lysis station, magnetic head guards, tip guards, UV light sample carrier, drawer locks, and clean up mode without any issues. No software is included so after initialization process the unit goes into a queue as if waiting instruction.